Pamela (Tilton) Linn has been a leading presence in the Chicago area real estate market since 1996. She combines her knowledge of running two real estate offices, with her selling experience (top 1% of all Chicagoland real estate brokers) to help clients today. While she has been continually recognized as a luxury real estate specialist, Pamela is equally dedicated to marketing a wide range of properties, from small condos to contemporary and historical single family homes. Additionally, Linn holds the designation of Certified Luxury Home Marketing Specialist (CLHMS), where she is a member of the Million Dollar Guild at the Institute for Luxury Home Marketing, which recognizes agents who have demonstrated skill in the multi-million dollar home market. She also has extensive knowledge of selling architecturally significant homes, including but not limited to, Frank Lloyd Wright's Winslow House and Ingall's House. Enhancing her work in commercial real estate development, Pamela worked with Field Partners in Lake Forest prior to entering the residential market. Before that she was an invaluable member of the Professional National Title Network (formerly Attorney's National Title Network) as a closer, closing over one thousand properties. Before embracing the real estate profession, Pamela was a news writer for both WGN-TV & FOX-TV. She possesses a strong background in financial news, chalking up either eight years as a news anchor/producer/reporter with WCIU-TV's Stock Market Observer. 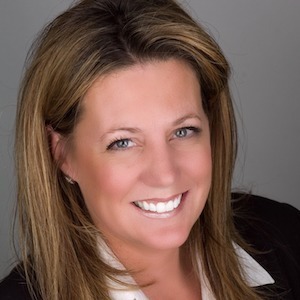 Linn earned her managing broker's license in 2000 and holds a Bachelor's of Science degree in Communications with an emphasis in Radio/TV & Film from Northern Illinois University. She is currently on the Grievance committee at the prestigious Chicago Association of Realtors (CAR). Pamela's business is based almost 100% on referrals.